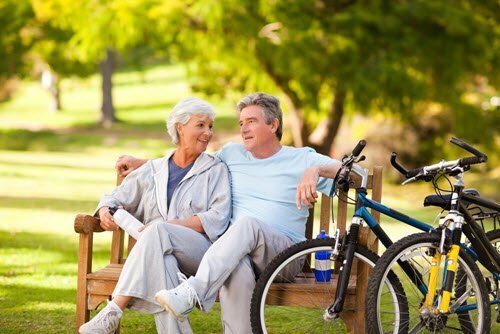 ThinkInsure has been providing term life insurance solutions in Canada for over 45 years. We offer a full range of term life insurance products, plans and coverage so we can cover all your life insurance needs. Protect your family’s financial future by comparing the cheapest term insurance quotes. Why Choose ThinkInsure For Your Term Life Insurance? Reduce The Worry & Hassle Of Buying Term Insurance : We’re licensed life insurance brokers and experts for term life insurance in Canada. We provide unbiased, professional recommendations and advice based on your needs to get you the best coverage and cheapest term life insurance premiums. Have A Superior Customer Experience : All ThinkInsure customers get a dedicated broker to take care of their life insurance needs. Your broker will be there when you need them and will help you compare term life insurance quotes and coverage. Save Time : We put our expertise to work for you. Our brokers all have in-depth knowledge of a wide range of life insurance solutions & products – term life insurance, permanent life insurance, universal life insurance, and more. You’ll get the best value for money based on your personal needs. 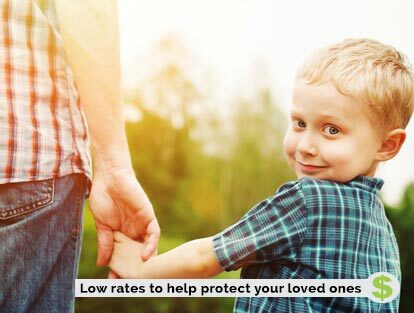 Save Money With Cheap Term Life Insurance Rates : With over of 40 the top insurance companies in Canada, we will find the cheapest term life insurance quote to save you money. Let one of our life insurance experts help you get the best coverage for your needs. Compare term insurance quotes online or call our toll-free number 1-855-550-5515 and speak to a licensed life insurance broker. 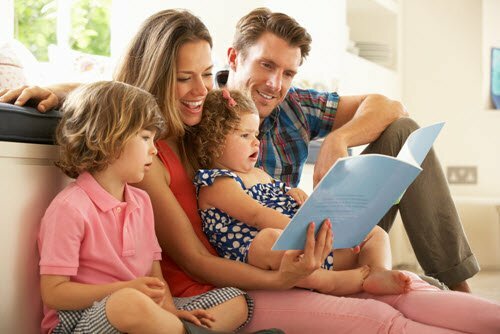 Term life insurance is the most straightforward and simple to understand life insurance options – also a reason why it is one of the most popular types of life insurance. As the name suggests, you purchase this life insurance product for a defined term (5 years, 10 years, etc.). If the insured passes away during this time period, benefits will be paid out. Term life insurance provides high, short-term protection at the lowest cost for a set period of time. Term insurance is a very affordable option and suited to young families on a tight budget or to homebuyers holding a large mortgage. Often you can extend your term insurance at the time of renewal – at a rate that is suitable for your age. The new rate could be much higher than your original policy, a reason why many people opt for longer term policies – which locks in your premium. At a certain point, you won’t be able to renew your term insurance due to your age or state of health. You’ll pay premiums on a monthly or annual basis, and there is no cash value to term life insurance. Do you have other questions about term life insurance? Want to compare term life insurance quotes? Call a broker 1-855-550-5515. You will also have coverage options to choose from regardless of the length of term you choose. Coverage options, benefits, and other coverage will vary by company – a reason why it’s important to compare life insurance quotes now and at the end of your term. Have a mortgage or other large debts. Want flexibility – term life insurance can be converted. Are concerned about affordability – term life insurance is the least expensive option. Want to cover their children’s post-secondary education. Run small businesses with complex situations or significant start-up debt. Are you ready to get a term insurance quote? Want to compare term life insurance rates? Using a term insurance premium calculator online is a great way to learn more about your term insurance options, compare pricing and find cheap term life insurance. Learn more about our term life insurance calculator and how it helps you more efficiently compare life insurance options and save. Want the cheapest life insurance in Canada? We all know that the best way to get the cheapest term life insurance rates with the benefits and policy options we want is to shop around. Great news – you can compare term life insurance quotes online right here! Try our term life insurance quote tool and compare term insurance quotes online! Term insurance costs the least of all life options initially. Strong, temporary protection during times of high financial risk. Time limited term so if you’re financial situation has changed, you don’t have to renew. Flexibility to renew if you still require short-term coverage. Low-cost protection and income security for partners, spouses or children. Term insurance may be able to converted to a permanent life insurance policy. Provide an immediate infusion of cash for an estate. Pay final expenses such as funeral or unpaid taxes. Provide an income for your loved ones. Pay off your outstanding debts – mortgages, business loans and taxes. Ensure a comfortable living standard for those you leave behind. Canada Life : Canada Life Assurance Company was our country’s first domestic life insurance product. Today, they offer simple and affordable term life insurance coverage. Sun Life Financial : Sun Life offers a large selection of life insurance products, including term life insurance products over a variety of defined terms. 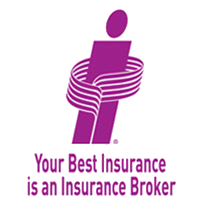 Learn more about the insurance companies we work with. Speak To A Professional : There are many options available to you with term insurance. Make sure that you understand the terms of your policy. Ask Questions : Don’t assume that you know the definition of terms in your policy. Ask for clarification about terms like disability, death benefit, and beneficiary. Understand The Different Types Of Life Insurance : It’s easy to get confused. Learn the benefits of one life insurance type over another. Review Your Needs Before Renewal : Review your life situation with your broker. 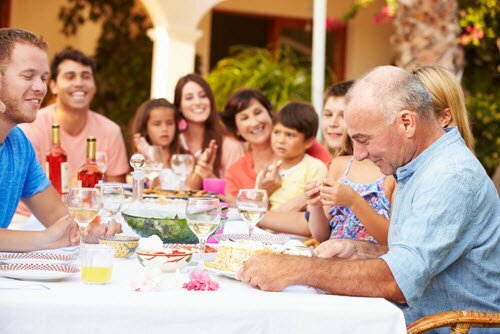 Another type of life insurance coverage may be better for you at that time. Term insurance provides valuable protection for you at a time when your financial situation is high risk. Buying term life will reduce your future financial insecurity risk and give you peace of mind. At ThinkInsure, our brokers are ready and willing to help you with all your life insurance needs. Protecting your family’s future and getting coverage starts with a quote for term life insurance. Call one of our life insurance experts to discuss your term life insurance needs - 1-855-550-5515.